Web hosting is a way of increasing the visibility of your website. Fusion Dream Solutions makes sure that it is viewable to people all over the world. We are not restricted to a specific boundary of a nation. 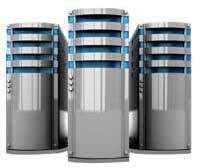 Hosting enables the website of your company viewable over the internet. In fact, a site is of no use if it has not been hosted. Without hosting, it will be merely a one man’s show. It is only the owner of the site who will be able to view it on a local host. It is a body with a soul. We clearly explain the services provided by us to our clients and also its essence. Our mere intention is to provide a quality service to the clients and money will follow soon. We do not follow a vice versa step. It stores the site on the server and we allow the access to our clients at any time. It also provides unique address to it named DNS (Domain naming System). This will give identity to it and the site is recognized by people all over the world. People belonging to any part of the world will recognize your website. It can be opened and used in any part of the world. Our company Fusion Dream Solutions is familiar with the present rates in the market. We provide a complete full proof detail to our clients so that they are not in a doubtful position. In simple terms it is a way of buying space on the server. IT can be interpreted equivalent to the space on the hard drive. You can store your files there and it can be only from the point where the computer is kept. However, this is not the case with web hosting. Your files are stored on the server and it is publically exposed. This is common mistake that is committed by most of the business and that is while hosting their website. We give an assurance to our customers that they do not have to experience any downtime. It can be with 404 and 500 error. This can ultimately result in losing your business on a great scale. Our team makes sure that our clients do have to experience a downtime while accessing a website. An arrangement of web hosting is all about making a proper arrangement in order to host a website. You can maintain the website of a client on related services and computers. Some of the services are to lease the space of hard disk and maintain it properly. We also give a provision of a proper backup and security.